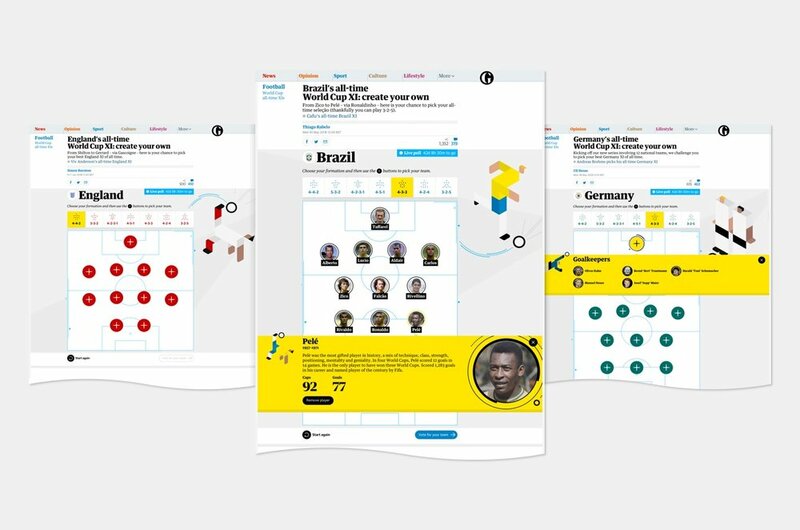 Working with the team at Ideas Made, I designed the UX and UI for a new interactive feature that kicked off The Guardian’s World Cup 2018 coverage. Sitting alongside all-time XIs chosen by former players like Cafu for Brazil, Viv Anderson for England and Marcel Desailly for France, it allowed readers to pick their all-time best team for each country. 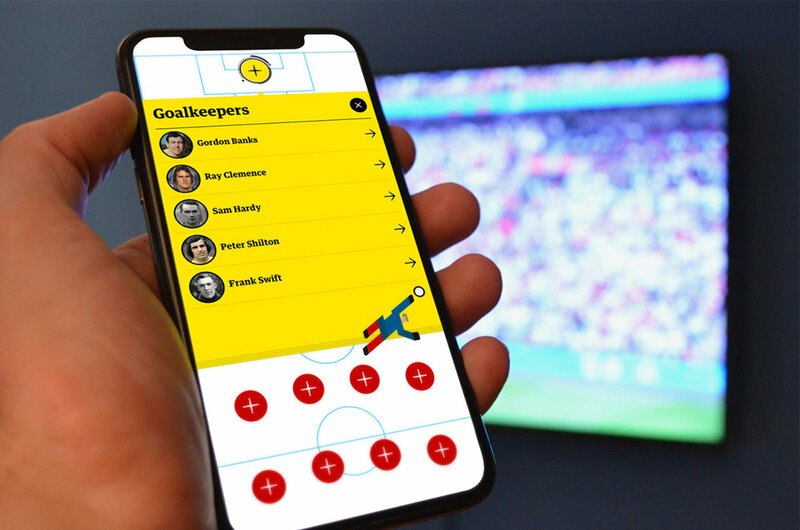 The interactive feature was live throughout the World Cup, creating lots of heated debate on The Guardian’s comments section with users able to see how their team compared to the popular vote.